The CMoy is an inexpensive, compact, and easy-to-build headphone amplifier that nonetheless packs some serious power and audio quality. It’s a great first project for fledgling DIYers and it no doubt is an improvement over the stock headphone amp of most consumer audio interfaces. 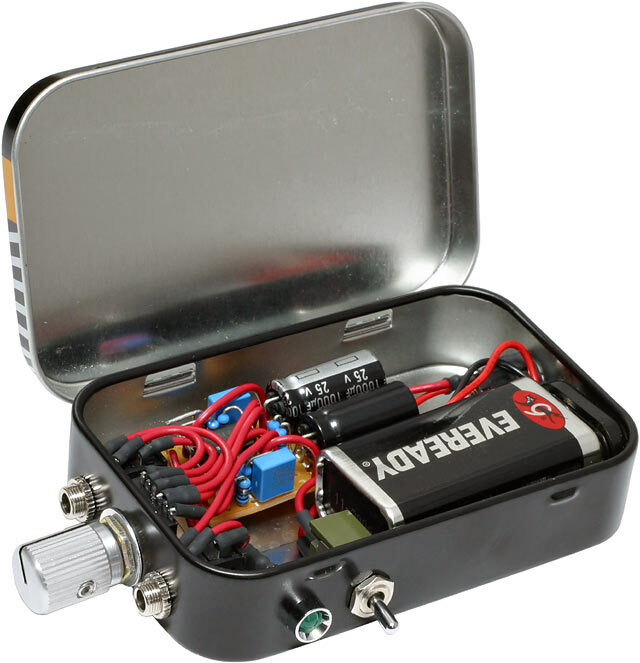 The CMoy is also handy for portable recording, as it runs on a 9v battery. Tangent’s phenomenal CMoy tutorial. Start here! Added by Peterson Goodwyn on May 31, 2011 and last modified by Peterson Goodwyn on December 7, 2015.